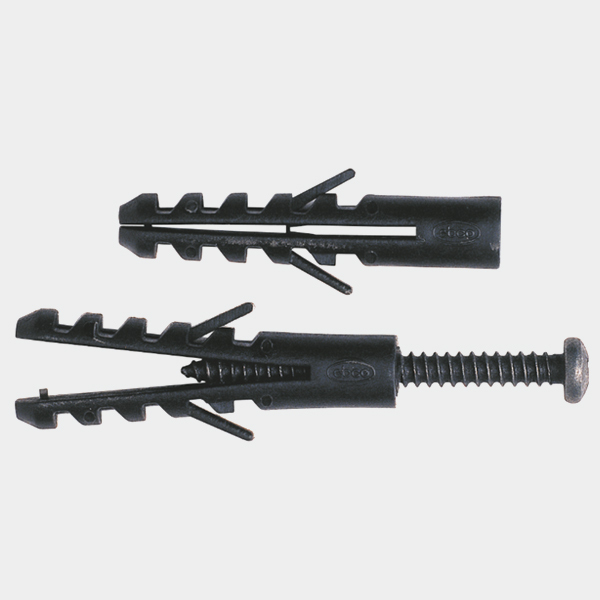 Suitable for concrete, masonry, or timber. Use with No. 10 x 50 screw. Drill a hole of 55mm deep in the wall. 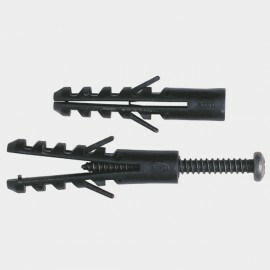 Use Ø9.5mm (3/8") masonry drill only. Insert the wall plug into the hole. 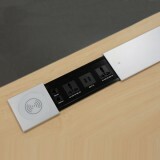 Wall plug should enter fully into the hole.